This charming festival is held on the banks of beautiful Chesapeake, Virginia — the gem of the Intracoastal waterway. 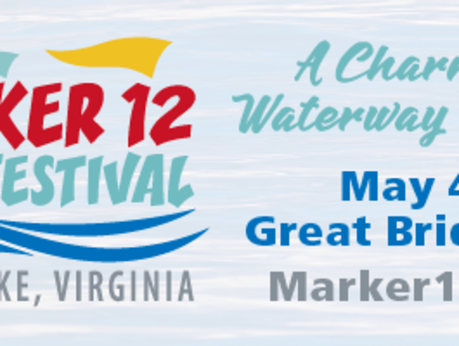 Located at mile marker 12 on the Atlantic Intracoastal Waterway (at Great Bridge, VA), the Festival is held the same weekend of a national yachting convention in Norfolk. Over 50 large vessels will participate in the convention and will be making their way north through Chesapeake. Atlantic Yacht Basin will host the Festival in cooperation with Waterway Guide Media – America’s most trusted and respected publications for boaters. Guided tours will be provided on land and on the waterway from the Carrie B Showboat — an authentic replica of a 19th century paddlewheeler. Participants will learn about different types of boats, fascinating facts about the waterway, and get a rare view of the inner-workings of the locks and the Great Bridge draw bridge. GoChesapeake will host a VIP “Docktail” event where guests will enjoy gourmet hors d’oeuvres, fine wines, craft beer from the Big Ugly Brewing Company and live acoustical music from local favorites Jeremy Jackson and Karl Werne. Come mingle with local dignitaries and boaters, sip-shop local artisans and vendors, and peruse the vintage boat collection.